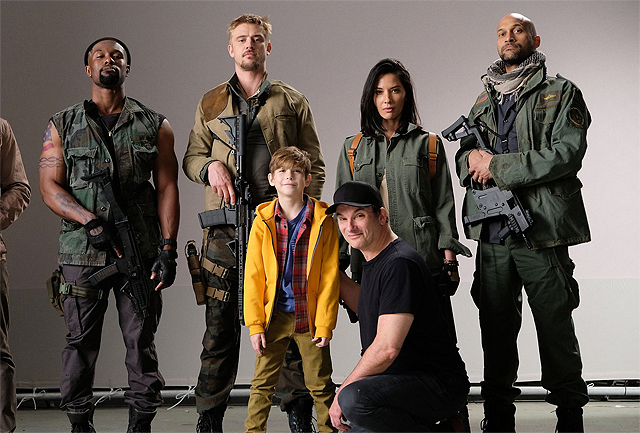 Director Shane Black has taken to Twitter to confirm not only that shooting has begun on The Predator, but that the sequel will most definitely have an R rating. The blood-spattered Predator filming will take place in Vancouver. UPDATE: Black has also posted a picture of the cast, which you can view in full in the gallery below! “Partial cast… beautiful human beings, good people. Also, killers,” Black wrote. And, just to be clear… PG-13 is for pussies. Spines bleed… a lot. Despite this statement, Black, who wrote the script with his Monster Squad co-writer Fred Dekker, has confirmed that the film remains in the continuity of the first two movies and isn’t a full reboot of the series. He said there is a reference in the script as to why the film has a singular title.